We take quality so seriously, that we built it into our name. Quality starts up front! Every product developed by CQP is carefully tested and evaluated through two phases of internal stability testing - an accelerated test and a long term test. We monitor the progress of these tests daily and keep our customers updated with real-time progress. Our goal is to confirm our formulas are robust and ready before they launch. Our culture of quality extends from the lab to the floor. Our robust quality program ensures that every product produced by CQP is reviewed and evaluated at least 6 times before it leaves our facility. 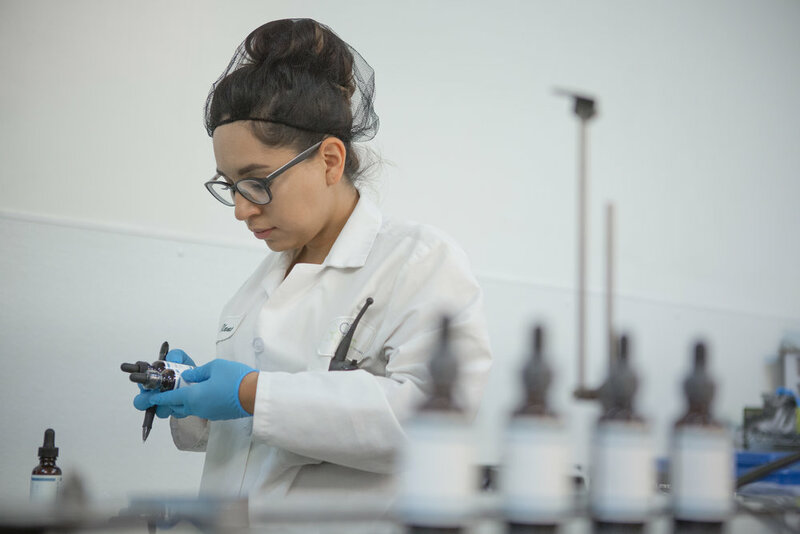 Our exceptional quality staff follows strict quality SOPs to test, monitor and manage production to ensure consistent production of the highest quality products possible.